Alpha-1-acid glycoprotein (AGP) is a serum glycoprotein whose levels are increased two or three times during disease or injury. This makes it a potential biomarker for inflammatory bowel diseases and sepsis. Consequently, fast, simple, and cheap analytical methods for prognosis, diagnosis, and follow-up of these diseases are demanded. In this work, we propose a simple electrochemical approach based on carbon nanotubes scaffold films (CNSFs) for total AGP determination in serum samples. Firstly, AGP is labeled with an electrochemical tag (osmium(VI) complex), and then the total amount of AGP is quantified by adsorptive transfer stripping square wave voltammetry (AdTSWV). Multi-walled carbon nanotubes scaffold films (MWSFs) yielded the best analytical performance in terms of sensitivity with a good limit of detection of 0.6 mg L−1 for AGP determination in serum samples, in less than 20 min. A simplified AGP calibration and its sequential serum sample analysis strategy with good accuracy (81%) and excellent reproducibility (RSD < 1%) was additionally proposed to meet the point-of-care/needs requirements. 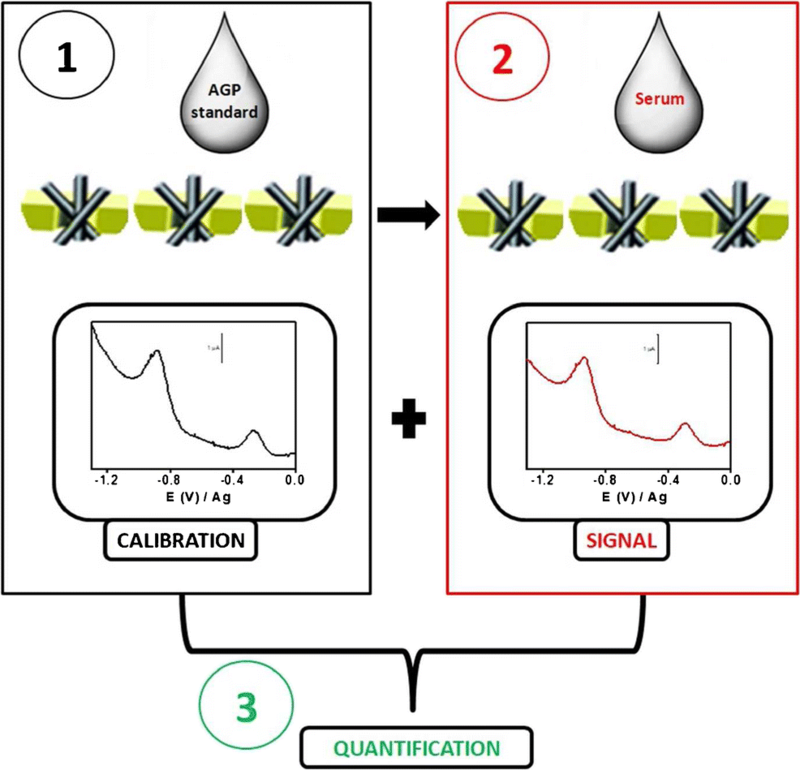 Multi-walled carbon nanotubes scaffold films for total AGP determination on disposable platforms integrating single-point calibration and sequential sample analysis. The online version of this article ( https://doi.org/10.1007/s00216-018-1419-6) contains supplementary material, which is available to authorized users. 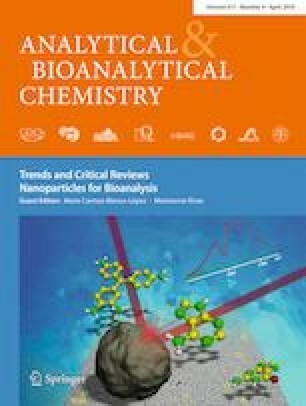 This work has been financially supported by the NANOAVANSENS program from the Community of Madrid (S2013/MIT-3029), the Spanish Ministry of Economy, Industry and Competitiveness (CTQ2017-86441-C2-1-R), and the MINECO (MAT2016-80394-R). T.S. acknowledges the FPI fellowship from the University of Alcala.